Just after 1am I was rudely awoken by Ingrid saying there was someone knocking on the motorhome, I got up and checked without going outside and couldn’t see anything and said it may have been the wind knocking a tree branch into the motorhome. I went back to bed, a few minutes later Ingrid was convinced that she heard something else and went out to investigate and found to young teenagers hiding under the rear of the motorhome, I went out and as I opened the door they ran off. 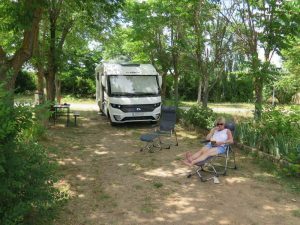 I stayed with the motorhome and Ingrid went to tell the security guard, he searched around the site but could not find them. We both had a restless sleep for the rest of the night and got up early to a bright sunrise with clear skies but it was very windy. We completed packing up and left just after 10am but found that the campsite reception did not open until 11am and so we were unable to pay our campsite fees. 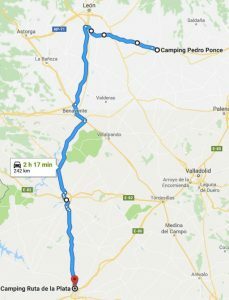 We left the campsite and retraced our route back towards Leon on the A231 and on the outskirts of Leon we turned onto the A66 heading south towards Zamora. Soon after we joined the A66 we passed a huge breakers yard, but it wasn’t a normal one for cars but had hundreds of cranes, JCB’s, diggers, tractors and other plant machinery, I have never seen anything like it before. 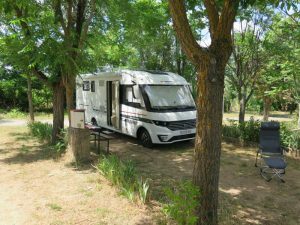 We stopped for coffee along the A66 and then continued to Zamora leaving the motorway to head into the Lidl for some food shopping. After the shopping we followed the satnav back through the centre of Zamora and then back on to the A66. 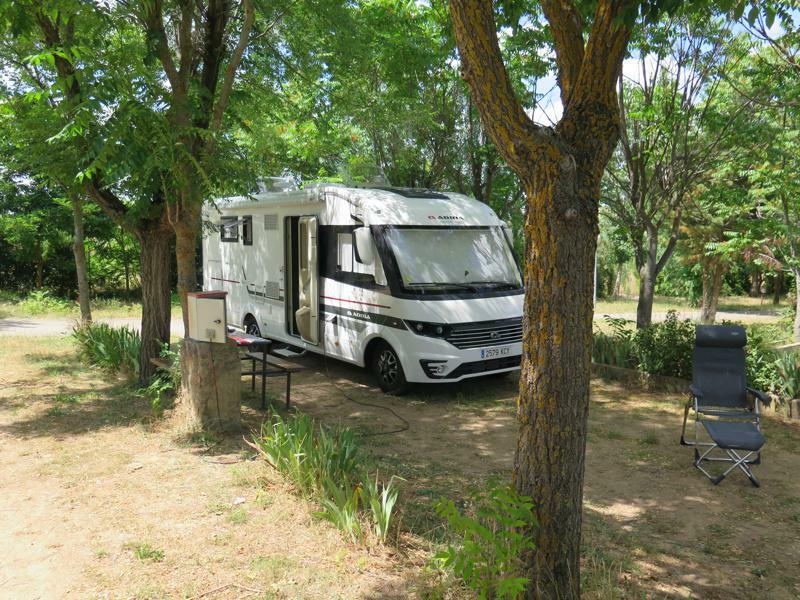 We continued along the A66 until we reached the outskirts of Salamanca and then followed the satnav direct to the campsite. We checked in and were told to find a pitch that we liked. For an ACSI site we were not impressed with Camping Ruta de la Plata, the site looked generally tired and uncared for. 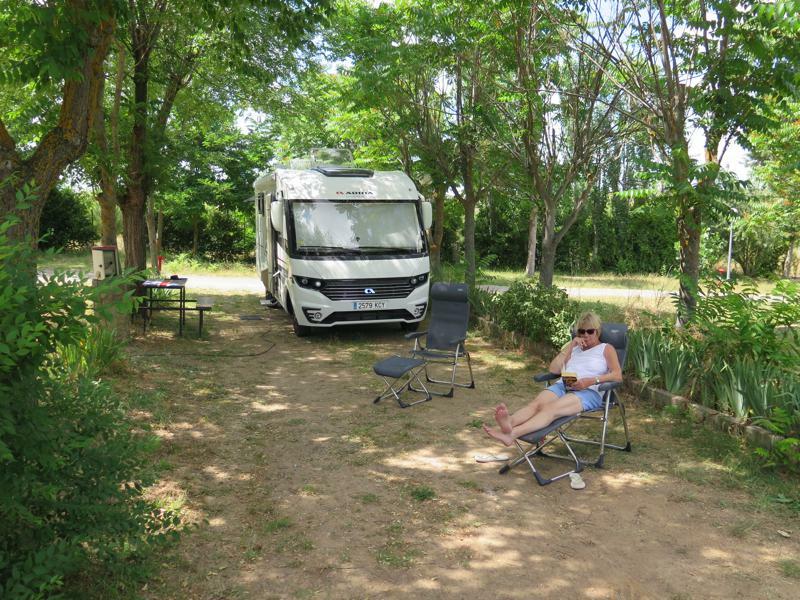 The trees needed pruning as they were very low and scraped the side and the top of the motorhome, there was only one water tap for the entire site and the grey waste disposal point was at the bottom of the site and not easy to manoeuvre into with a 7.5m motorhome. The toilet block was tired and needed some work, there was no soap by the basins and the washing machine and pots and pans washing area was also unloved and old. The pitches were earth partially covered in weeds that needed cutting back. To top the lot the bar was only open for coffee and croissant for breakfast and the wifi only worked in the bar area. We tried to sit outside but there were lots of small flying bugs that were annoying but not biting thank goodness. As a result we decided to stay here just for the one night and head on. An eventful 24 hours all in all and not one we want to repeat. 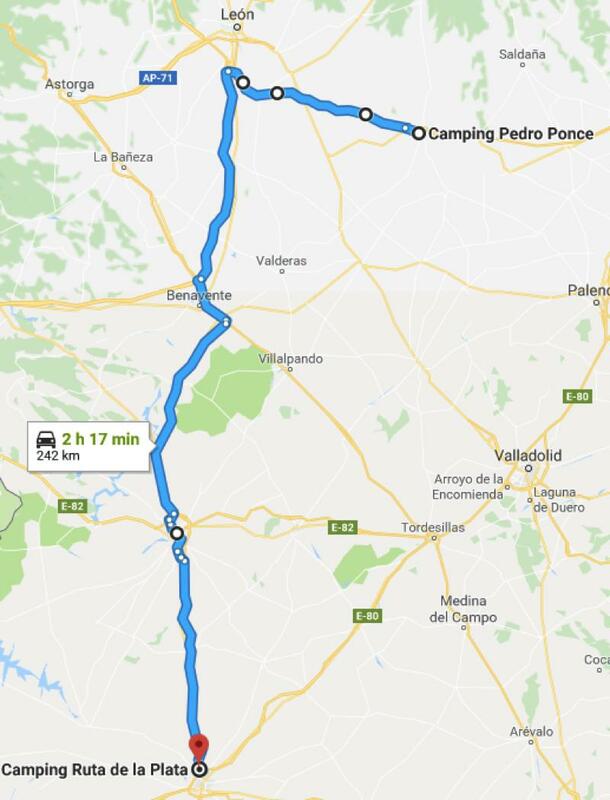 I emailed Camping Pedro Ponce about leaving without paying and am waiting to hear back from them.